If you tell students the test is easy, they will do better. When you tell them it’s hard, they will do worse. If you tell the teacher these students are gifted, they will score higher by the end of the term. Tell the same teacher these kids are troubled underachievers and in a few weeks the classroom will be a war zone. A proper diagnosis demolished a lot of beliefs I had about myself. I can tell you, it’s disorienting. For many the dread of a diagnosis turns to relief. “There is an explanation!” A roller coaster ride. Some people love roller coasters. Others scream in terror. But getting diagnosed? There was anger, sadness, and lots of regret about how much life might have been had I known sooner. But also relief. It was a tornado of emotions, one a lot of people experience, and it lead to the video Now You Tell Me? Once you know that you’ve spent your whole life in a wrestling match with this invisible opponent, it’s… mind blowing. Taking apart beliefs is intimidating… and exhilarating. Let’s explore some common perceptions and misperceptions that ADD adults have about themselves. When my Doctor told me, “This ultrasound shows that your gall bladder has a problem,” I assumed it was true. He had visual proof. Why the denial? Well, to start with there was no Xray or Ultrasound image that the doctor could point to and say, “See… those blobs… that’s your ADHD. I was always like this. This is my normal . Which, yes, I sensed was abnormal, or different from most people. But growing up, I had never experienced anything else, so I couldn’t compare. So, “This is just how I am.” Later on, as I was considering trying an ADHD medication I realized how much I relied on another stimulant, caffeine, to focus. And the difference it made. This was a big one for me. I never finished my taxes, which was proof I had no willpower. I’d written hundreds of episodes of television, but that was just cause it was fun, and didn’t count. I was in awe of friends who could spend six hours straight and complete their taxes. Magical! Meanwhile, I could spend hours, days, even weeks mastering the sleight of hand for a magic trick. Clearly I had will power. But it was selective. After taking on my ADHD, I can do both, master a magic trick and also get my taxes in… Actually, my accountant does that. Which is a great ADHD Strategy: GIVE IT TO SOMEONE WHO IS NATURALLY GOOD AND DOING IT! A ‘lack of willpower’ is a lack of fuel, neurotransmitters, the brain chemicals that carry messages and form memories. And we’re a bit low on them, especially Dopamine and Norepinephrine. But I know so many ADD adults, including yours truly, who mistook their ADHD for Depression. And so many women who have ADHD are misdiagnosed as having Depression. In fact, a lifetime struggling with undiagnosed ADHD, we often end up in Depression, or struggling with Anxiety. Doctor’s call it a ‘Secondary Disorder.’ Depression is far easier to diagnose that ADHD, so that’s often as far as it goes. The person goes on an Anti-Depressant, when the real problem is unrecognized ADHD. The thing about the human brain is that it doesn’t come with an operating manual. But over the decades Doctors have created a kind of Repair Manual. It’s controversial, always being revised, and hopelessly inadequate to describe what’s going on in the brain. And it’s pretty useful in many ways. It’s called the DSM, or Diagnostic and Statistical Manual. The fifth edition, heavily revised, came out last year. The DSM lists 18 Symptoms in children. It explains the subtypes of ADHD. Those who are predominantly Inattentive, struggling with focus, follow-through, procrastination, memory, losing things. And those who are also dealing with the Hyperactivity, the restlessness, and the Impulsivity, being driven by a motor. As many Doctors have told us, no one has all 18 of the symptoms of ADHD in equal amounts. To qualify as ADHD a child has to have 6 out of the 9 in each category. And they have to be impairing. In multiple-situations. Rather than my old, pre-diagnosis strategy, of trying to finish everything and working 7 days a week with little to show for it. So basically, if something is causing you problems, well, it’s a problem. And that’s an important distinction. As Dr. Steven Kurtz says in ADD & Loving It?! says, “No one is coming to see me because they have nothing better to do.” People are coming in complaining about being depressed, despairing, burnt out, angry, frustrated, and on the verge of divorce, bankruptcy, exhaustion, or even suicide. 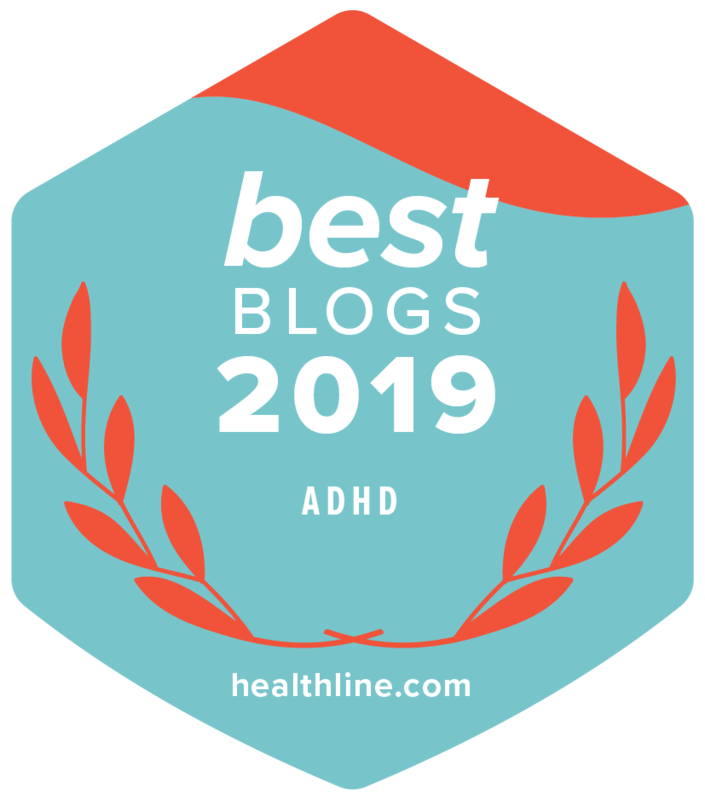 What shocked me was that when I started dealing with my ADHD–through Yoga and mindfulness, a stimulant medication, coaching, and ADHD-friendly tools–things changed. Sometimes rapidly. Ridiculous, I know. But then the hardest thing to change can be your beliefs. Another fantastic, accurate and encouraging blog. Thank you, very much, Rick Green!!! We are all struggling with something. Often a lot of stuff. I’m humbled by what some people are dealing with, and then people hear what I’m up against, where I’m struggling to manage, and they are always surprised. Yes. I have had successes. And for every success you see, I see a dozen things that went wrong. Still, not a bad average. And it’s getting better. I can relate with 100% accuracy to every single statement you made, from childhood to now, at age 41. Thanks Bryan. As someone who wasn’t diagnosed until age 47 I can tell you that changing the negative beliefs, which are ingrained in our subconscious and in our bones, takes time. And it doesn’t happen automatically. One of the strategies that Patrick McKenna talks about in ‘ADD & Mastering It!’ is Journalling. Writing down every day what happened, what worked, what didn’t. Whenever I do it, whether it’s noting what I did today or over the past few days, I’m usually surprised, in a good way, at all that I did get done. Not just work, but things like calling the kids, getting some fresh air, seeing a friend, etc.. Thank you so much for this article. Feel like I identify with nearly every word in it. Your positive outlook gives strength to people like myself. Thank you so much, Rick Green. Looking back on my past, I can see that I’m not a loser. Instead, I’m a good person with a medical condition. I was diagnosed in the 1970s- no support, no idea what ADHD meant in any way. So Rick, when you say you were diagnosed at 47 and wish you had known sooner- well- how much was there before that to find? It wasn’t until these past few years that these new millennials have been hopping on their computers and figuring that information hasn’t been shared and started blogging, vlogging and sharing what they’ve researched. It wasn’t until a little over a year ago that I found out that ADHD is a very real thing- that I’m not alone- that I still score high on the test- that I’ve developed a huge number of coping mechanisms that I had to refigure out when I was medically retired from the Army. Now that I’m not ‘working’ a structured job- I’m lost. So sites/YouTube places have taught me a ton of info I didn’t realize was out there. How to ADHD is what got me started- not sure how I stumbled upon it- but I saw myself in EVERY one of her posts. And to learn that most ADHD is hereditary!?!?!? MIND BLOWING! Wow- I’m not broken. It was how I was made. I’m thankful for all of the insights! Presently being”blinded” by the Light-bulbs that keep going off, too many revelations! … of course, can”t find my sun glasses! I may or may not have this (still am not 100% on board with the idea that I do) but I think my brother has it in spades. No idea how to handle all of that. I tried getting him to take a test for it and he said “everyone has all this, most of these are normal, this is stupid” and not giving himself the points where he definitely applied for them. But then I’m the same way so who am I to disagree? 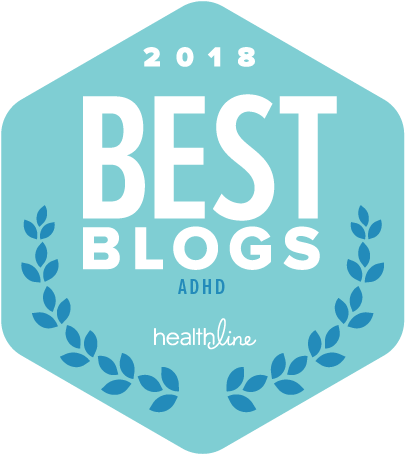 Thank you for taking the time to put into words your experience because it is nearly my exact story as well, well sort of…our family has had one heck of a year in ADHD land for sure! The first diagnosis was for our foster daughter. As I was told about it I felt extreme guilt for not admitting that our daughter probably need the same help but even greater was my avoidance because I knew I should get help for myself too. I’ve had her tutored, done vision therapy, prayed, cried, yelled, cried some more, tried changing her (all of our) diet, homeopathic treatments, got her on an IEP–everything helped but just a little. So, long story short, since last July I have gone through the diagnosis process for 3 children (our new foster son just was diagnosed too) and FINALLY my own at 46! I was relieved, angry, confused, guilt-ridden but really now just happy I have answers. I really appreciate your mention about depression. I’ve spent years on and off antidepressants and/or anti anxiety meds but never really felt like it was the answer, fully. Seeing what I was learning with the kids I was helping, I decided that I didn’t want depression meds again until I knew what I should medicate for…surprise! Yep, the kid my dad joked about who was like taking a whole Girl Scout troop camping, the kid my teachers could never get to focus or stop talking, the kid that never felt like she belonged (I could go on) has ADHD. I think the best part of the diagnosis is an odd sense of belonging. I finally learned where I fit and now that I am over the anger of it all, here I am!